Shocker, I know. But the reason a lot of us don’t achieve our dream is because we get so caught up in doing allthethings. We see these wildly successful people who have it going on. They have products launching, social media posts on the daily, they have new blog posts, podcast episodes, and emails going out regularly. And what’s more, they have so much consistency it seems like there must be 10 of them. And you know what, there probably are. Or at least a few VAs. The problem with comparing ourselves to people who have been at it for years is that they worked out all the kinks already, hired help, & probably have a content calendar planned 3 months in advance. So stop comparing, and expecting to be on their level. Give yourself permission to be less than perfect. Do You Even Goal Set? If you are just working thru your online biz, going with the flow, & seeing where the wind takes you, you will never succeed. You also cannot fail, because there is nothing to achieve or fail. You need to set some hard goals for your biz. No, I don’t mean a goal to make money. That’s a result, not a goal. Create goals you can break down into actionable steps, and write them down in a place you will see every time you sit down to work. Get a biz planner to help plan your long-term and short-term goals for your biz, and stop worrying about other things that don’t relate. As a mamapreneur, you have got a lot going on. You have your kids, you household, meals, doctor appointments, school, carpool, laundry, and countless other things on your to-do list. Accept that you won’t be able to carry out every single thing you want for your biz, in just the few hours of work you can squeeze in at nap times and after bedtime. It just isn’t possible to do everything yourself working part-time hours, that would normally be handled by a team all working full-time. And that’s ok. Because you can use that to your advantage. But only if you accept that you cannot, in fact, do everything you dream up for your biz. At least not right at the start ? You know those 8 thoughts you had last night of new projects to start? 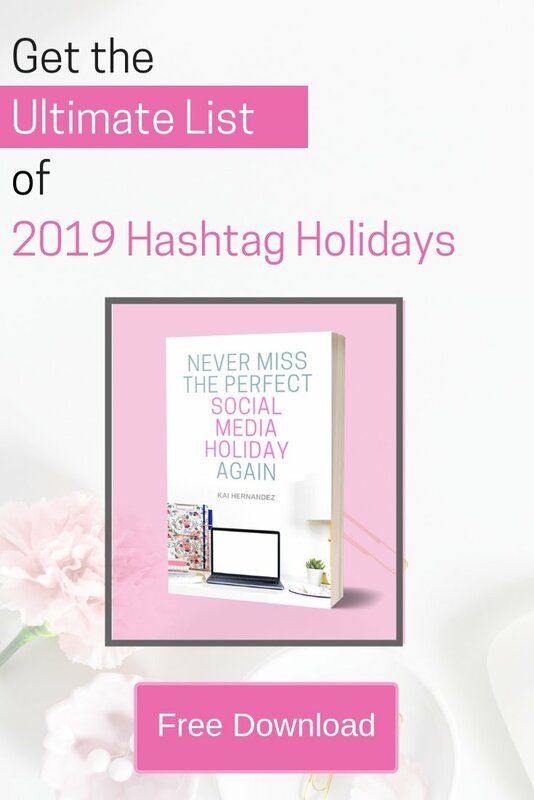 Whether it was a new blog post, starting your Facebook page, automating your Pinterest account, or planning out your content calendar, just choose TWO. That’s right. I know you have this huge list of things you wanna do. But you know what, if you try to knock them all out at once, none of them will be perfect. Just choose two goals for the day, and focus on those, & only those until they are complete. And I don’t mean like, you did the bare minimum. I mean work on ’em until you feel like you truly achieved it. Work on ’em until you feel like you really crushed your goals. All that other stuff you wanted to do? Get it all out of your mind so you can actually focus. 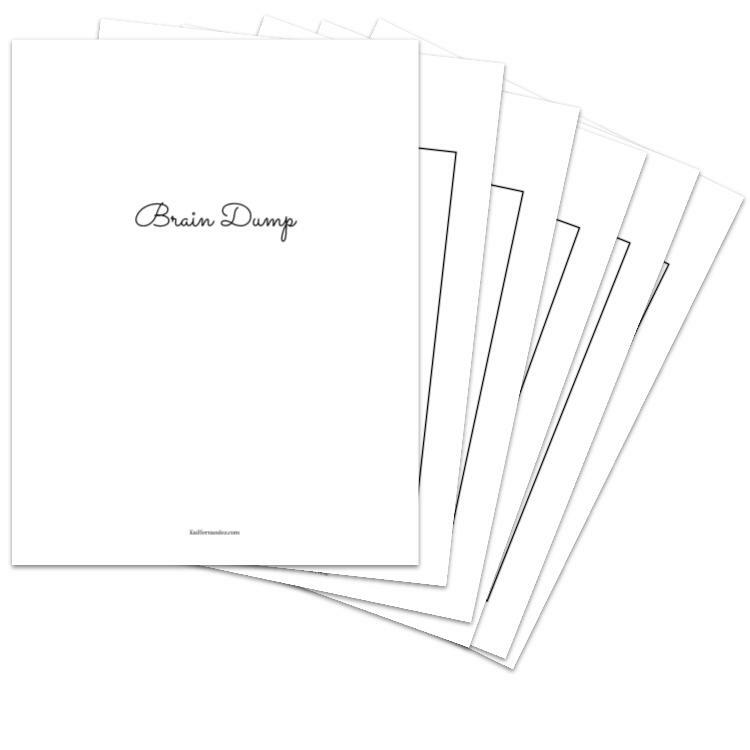 And the best way to do that – using a Brain Dump. A lot of the time, we find ourselves working on things that our brains randomly bring up and tell us “this must be done now!” when it actually isn’t all that urgent. What’s worse is that this can actually prevent us from working on other high priority goals. The easiest way to avoid this? Creating an organized place to store all of our random ideas, that your brain trusts. Brain Dumps are probably my favorite thing ever. You can get every single pesky idea, no matter how vague or how well established into a safe place your brain trusts so it stops nagging you. Then you sort thru your ideas on your Brain Dump pages, add any new details you thought of, decide which to incorporate into your goals, which can wait, and which to toss. Give yourself permission to not be perfect, to not do everything, to forget, & to toss things out. 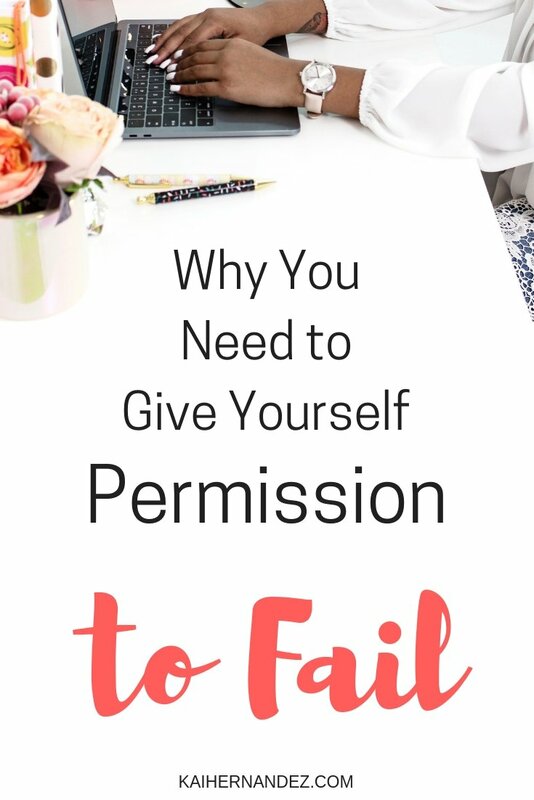 Give yourself permission to fail, so that you can succeed. Love this! Failure is also the best way to learn, so I totally accept it and learn from it! Thanks Toni! Yes, I totally agree about accepting & learning from failure. If you haven’t failed, you’re just not trying hard enough! ?